*If you book your wedding with us, you will receive special pricing on your engagement session. First thing is first, lets get the word out. Engagement photos are ideal for your announcements, save the date cards, and even wedding invitations. Some couples enjoy displaying their engagement photos at their rehearsal dinner, as well as wedding reception. I've even taken a special photo for the thank you cards after your wedding. One of the greatest benefits to booking us for your engagement photos is so that we can get to know each other in a more relaxed environment before the wedding day. Together we will choose the perfect location for you as a couple. Whether it's going for a hike, a walk in the park, or a city scape, your photos will look amazing. If you're a little nervous in front of the camera, a little practice is always a good thing. You will see that capturing great photos is less about looking at the camera with the perfect pose, and more about enjoying being present in the moment with your fiancee. One hour of photography will be devoted to you. I will meet you at your location of choice within a 10 mile radius of Hagerstown, MD. If this location is farther, no big deal, additional travel expenses will accrue. Is there somewhere that is special to you? A park? The place you met? Where he proposed? The possibilities are endless. Cant think of a place? No worries. We have plenty of suggestions and will be more than happy to help you with ideas. 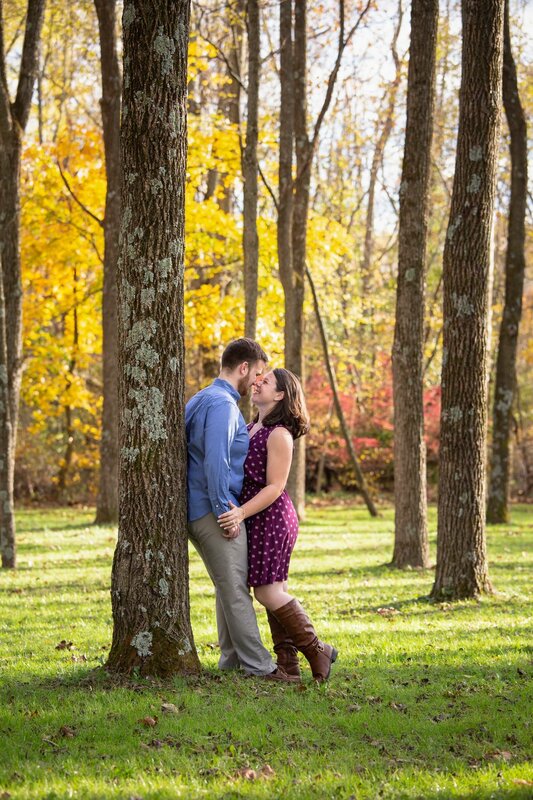 I would love to book an engagement shoot with you!